This content section has magazine titles for broad-based, general automotive topics and coverage. 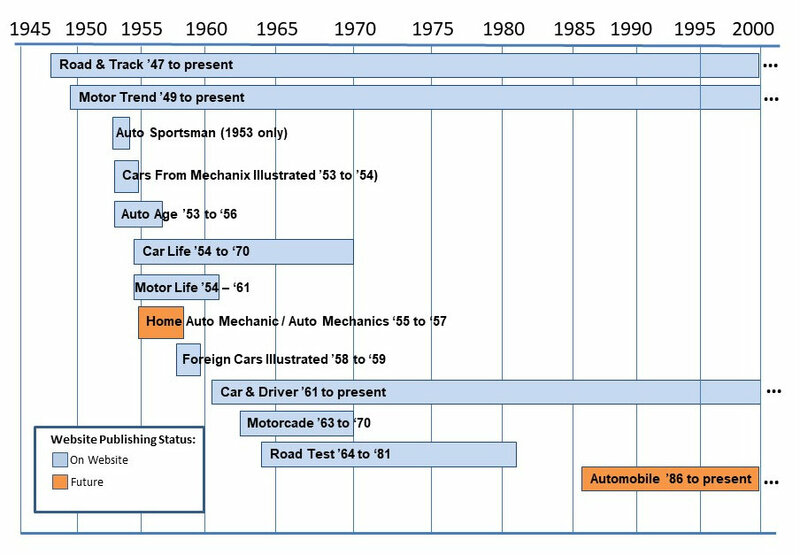 The image below shows the lineage and life span of each title covered. A few such as Road and Track and Car & Driver started early and have survived in the competitive and dynamic world of publishing. But as you can see from the image below, many titles only lasted a few years. The following new titles have been added to this section: Cars, published by Mechanix Illustrated; Road Test; Motorcade; Car Classics; and Special Interest Autos.